Simon Lewis is Professor of Global Change Science at University College London, as a half time position. He holds an equivalent position at the University of Leeds. Simon was a Royal Society University Research Fellow (2004-2013), and in 2011 received a Philip Leverhulme Prize recognising the international impact of his research. In 2014 he was listed as one of the world’s most highly cited scientists in the Environment/Ecology field (see highlycited.com). He gained a PhD from the University of Cambridge studying in the Department of Plant Sciences. The more specific focus of his research is to gain a synthetic understanding of the recent, current, and likely future compositional and functional trajectory of the tropical forest biome. That is, to understand how and why tropical forests are composed of the tree species that form these forests, understand their important functions, such as how much carbon they store and cycle, and understand how these systems are changing due to local, regional and global environmental changes, and ultimately how they may change in the future. Dr Lewis’ research on tropical forests and climate change has been covered by newspapers, TV and radio worldwide, including the BBC, CNN and the Sun newspaper. He is regularly asked for comment on tropical forest and climate change related science. Professor Lewis’ research intersects several policy relevant areas, including tropical forests and their deforestation and degradation, climate change, biodiversity conservation, the prospects for indigenous peoples, rural poverty, and the global trade systems for products from tropical lands. Therefore, he is involved in both public understanding of science activities, such as writing newspaper commentary and giving public talks, and engages with policy makers. For example, Simon hit the headlines following a successful campaign to have a misleading article in the Sunday Times removed at the height of the poor reporting of climate change-related science following the collapse of the 2009 Copenhagen international negotiations and the release of some climate scientists emails (aka ‘climategate’). On the policy side, Simon assisted drafting of Inter-Academies Panel (IAP) statement on tropical forests and climate change released to coincide with the Copenhagen UN conference on climate change. IAP is a group of 103 national academies of science, including all the G20 countries. Simon has been interviewed on the BBC’s Today program several times, and occasionally contributes science-policy commentary pieces to the Guardian newspaper and the journal Nature. Simon has supervised or co-supervised nine successful PhD students, and currently supervises a further six students (three in Leeds). He has 31 successful grant applications from his PhD onwards that funded his PhD, post-doc and fellowship positions, obtained from ten funders including the National Environment Research Council, Royal Society, Leverhulme Trust, Government of Gabon, Gordon and Betty Moore Foundation, David and Lucile Packard Foundation. He has published 12 book chapters, 3 major databases and 90 peer-reviewed papers in leading journals, including in Science, Nature and the world’s oldest ongoing scientific journal, Philosophical Transaction of the Royal Society. In addition, he has given invited lectures on every inhabited continent. Professor Lewis founded and co-ordinates the only African network of on-the-ground tropical forests monitoring plots where individual trees are tagged and monitored over time, called AfriTRON (African Tropical Rainforest Observation Network). This requires extensive fieldwork in very remote locations. AfriTRON currently spans 10 countries across tropical Africa, and with its sister network in South America (RAINFOR) consists of >500 locations and >300,000 trees being monitored. They are housed in a data repository, co-founded by Professor Lewis, at www.forestplots.net. Google Scholar Public Profile: http://bit.ly/1nN2BfE. Lewis, S.L. (2016) The Paris Agreement has solved a troubling problem. Nature, 532, 283-283. Lewis, S.L. & Maslin, M.A. (2015) Defining the Anthropocene. Nature, 519, 171-180. Lewis, S.L., Edwards, D.P. & Galbraith, D. (2015) Increasing human dominance of tropical forests. Science, 349, 827-832. Brienen, R.J.W. incl. Lewis, S.L., & 90 others (2015) Long-term decline of the Amazon carbon sink. Nature, 519, 344-348. Lewis S.L. (2012). We must set planetary boundaries wisely. Nature, 485, 417-417. Lewis, S. L., Brando, P. M., Phillips, O. L., van der Heijden, G. M. F. & Nepstad, D. (2011) The 2010 Amazon Drought. Science, 331, 554. Pan Y.D., Birdsey R.A., Fang J.Y., Houghton R., Kauppi P.E., Kurz W.A., Phillips O.L., Shvidenko A., Lewis S.L., Canadell J.G., Ciais P., Jackson R.B., Pacala S.W., McGuire A.D., Piao S.L., Rautiainen A., Sitch S. & Hayes D. (2011). A Large and Persistent Carbon Sink in the World's Forests. Science, 333, 988-993. Saatchi S.S., Harris N.L., Brown S., Lefsky M., Mitchard E.T.A., Salas W., Zutta B.R., Buermann W., Lewis S.L., Hagen S., Petrova S., White L., Silman M. & Morel A. (2011). Benchmark map of forest carbon stocks in tropical regions across three continents. Proc. Natl. Acad. Sci. U. S. A., 108, 9899-9904. Ahrends A., Burgess N.D., Milledge S.A.H., Bulling M.T., Fisher B., Smart J.C.R., Clarke G.P., Mhoro B.E. & Lewis S.L. (2010). Predictable waves of sequential forest degradation and biodiversity loss spreading from an African city. Proc. Natl. Acad. Sci. U. S. A., 107, 14556-14561. Lewis S.L., Lopez-Gonzalez G., Sonke B., Affum-Baffoe K., Baker T.R., Ojo L.O., Phillips O.L., Reitsma J.M., White L., Comiskey J.A., Djuikouo M.N., Ewango C.E.N., Feldpausch T.R., Hamilton A.C., Gloor M., Hart T., Hladik A., Lloyd J., Lovett J.C., Makana J.R., Malhi Y., Mbago F.M., Ndangalasi H.J., Peacock J., Peh K.S.H., Sheil D., Sunderland T., Swaine M.D., Taplin J., Taylor D., Thomas S.C., Votere R. & Woll H. (2009b). Increasing carbon storage in intact African tropical forests. Nature, 457, 1003-7. Lewis S.L. (2009). Carbon emissions: the poorest forest dwellers could suffer. Nature, 462, 567-567. Phillips O.L., Aragao L., Lewis S.L., Fisher J.B., Lloyd J., Lopez-Gonzalez G., Malhi Y., Monteagudo A., Peacock J., Quesada C.A., van der Heijden G., Almeida S., Amaral I., Arroyo L., Aymard G., Baker T.R., Banki O., Blanc L., Bonal D., Brando P., Chave J., de Oliveira A.C.A., Cardozo N.D., Czimczik C.I., Feldpausch T.R., Freitas M.A., Gloor E., Higuchi N., Jimenez E., Lloyd G., Meir P., Mendoza C., Morel A., Neill D.A., Nepstad D., Patino S., Penuela M.C., Prieto A., Ramirez F., Schwarz M., Silva J., Silveira M., Thomas A.S., ter Steege H., Stropp J., Vasquez R., Zelazowski P., Davila E.A., Andelman S., Andrade A., Chao K.J., Erwin T., Di Fiore A., Honorio E., Keeling H., Killeen T.J., Laurance W.F., Cruz A.P., Pitman N.C.A., Vargas P.N., Ramirez-Angulo H., Rudas A., Salamao R., Silva N., Terborgh J. & Torres-Lezama A. (2009). Drought Sensitivity of the Amazon Rainforest. Science, 323, 1344-1347. Phillips O.L., Lewis S.L., Baker T.R., Chao K.J. & Higuchi N. (2008). The changing Amazon forest. Philosophical Transactions of the Royal Society B-Biological Sciences, 363, 1819-1827. Baker T.R., Phillips O.L., Malhi Y., Almeida S., Arroyo L., Di Fiore A., Erwin T., Higuchi N., Killeen T.J., Laurance S.G., Laurance W.F., Lewis S.L., Monteagudo A., Neill D.A., Vargas P.N., Pitman N.C.A., Silva J.N.M. & Martinez R.V. (2004a). Increasing biomass in Amazonian forest plots. Philosophical Transactions of the Royal Society of London Series B-Biological Sciences, 359, 353-365. Lewis S.L., Malhi Y. & Phillips O.L. (2004a). Fingerprinting the impacts of global change on tropical forests. Philosophical Transactions of the Royal Society of London Series B-Biological Sciences, 359, 437-462. Lewis S.L., Phillips O.L., Baker T.R., Lloyd J., Malhi Y., Almeida S., Higuchi N., Laurance W.F., Neill D.A., Silva J.N.M., Terborgh J., Lezama A.T., Martinez R.V., Brown S., Chave J., Kuebler C., Vargas P.N. & Vinceti B. (2004b). Concerted changes in tropical forest structure and dynamics: evidence from 50 South American long-term plots. Philosophical Transactions of the Royal Society of London Series B-Biological Sciences, 359, 421-436. Phillips O.L., Baker T.R., Arroyo L., Higuchi N., Killeen T.J., Laurance W.F., Lewis S.L., Lloyd J., Malhi Y., Monteagudo A., Neill D.A., Vargas P.N., Silva J.N.M., Terborgh J., Martinez R.V., Alexiades M., Almeida S., Brown S., Chave J., Comiskey J.A., Czimczik C.I., Di Fiore A., Erwin T., Kuebler C., Laurance S.G., Nascimento H.E.M., Olivier J., Palacios W., Patino S., Pitman N.C.A., Quesada C.A., Salidas M., Lezama A.T. & Vinceti B. (2004). Pattern and process in Amazon tree turnover, 1976-2001. Philosophical Transactions of the Royal Society of London Series B-Biological Sciences, 359, 381-407. Phillips, O. L., Martinez, R. V., Arroyo, L., Baker, T. R., Killeen, T., Lewis, S. L., Malhi, Y., Mendoza, A. M., Neill, D., Vargas, P. N., Alexiades, M., Ceron, C., Di Fiore, A., Erwin, T., Jardim, A., Palacios, W., Saldias, M. & Vinceti, B. (2002) Increasing dominance of large lianas in Amazonian forests. Nature, 418, 770-774. Avitabile, V., Herold, M., Heuvelink, G.B.M., Lewis, S.L., & 30 others (2016) An integrated pan-tropical biomass map using multiple reference datasets. Global Change Biology, 22, 1406-1420. Cuni-Sanchez A, White LJT, Calders K... & Lewis, S.L. (2016) African Savanna-Forest Boundary Dynamics: A 20-Year Study. Plos One, 11. Levine NM, Zhang K, Longo M et al. (2016) Ecosystem heterogeneity determines the ecological resilience of the Amazon to climate change. Proceedings of the National Academy of Sciences of the United States of America, 113, 793-797. Wheeler CE, Omeja PA, Chapman CA, Glipin M, Tumwesigye C, & Lewis SL (2016) Carbon sequestration and biodiversity following 18 years of active tropical forest restoration. Forest Ecology and Management, 373, 44-55. Willcock S, Phillips OL, Platts PJ... Lewis, SL (2016) Land cover change and carbon emissions over 100years in an African biodiversity hotspot. Global Change Biology, 22, 2787-2800. Brienen RJW, Phillips OL, Feldpausch TR et al. (2015) Long-term decline of the Amazon carbon sink. Nature, 519, 344-+. Coronado ENH, Dexter KG, Pennington RT et al. (2015) Phylogenetic diversity of Amazonian tree communities. Diversity and Distributions, 21, 1295-1307. Dexter KG, Smart B, Baldauf C et al. (2015) Floristics and biogeography of vegetation in seasonally dry tropical regions. International Forestry Review, 17, 10-32. Fauset S, Johnson MO, Gloor M et al. (2015) Hyperdominance in Amazonian forest carbon cycling. Nature Communications, 6. Lewis SL, Edwards DP, Galbraith D (2015) Increasing human dominance of tropical forests. Science, 349, 827-832. Lewis SL, Maslin MA (2015a) Defining the Anthropocene. Nature, 519, 171-180. Lewis SL, Maslin MA (2015b) Geological evidence for the Anthropocene. Science, 349, 246-247. Lewis SL, Maslin MA (2015) A transparent framework for defining the Anthropocene Epoch. The Anthropocene Review, 2, 128-146. 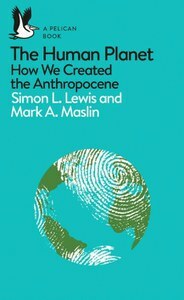 Maslin MA, Lewis SL (2015) Anthropocene: Earth System, geological, philosophical and political paradigm shifts. The Anthropocene Review, 2, 108-116. Schrodt F, Domingues TF, Feldpausch TR et al. (2015) Foliar trait contrasts between African forest and savanna trees: genetic versus environmental effects. Functional Plant Biology, 42, 63-83. Mitchard E.T.A., Saatchi S.S., White L.J.T., Abernethy K.A., Jeffery K.J., Lewis S.L., Collins M., Lefsky M.A., Leal M.E., Woodhouse I.H. & Meir P. (2012). Mapping tropical forest biomass with radar and spaceborne LiDAR in Lope National Park, Gabon: overcoming problems of high biomass and persistent cloud. Biogeosciences, 9, 179-191. Feldpausch T.R., Banin L., Phillips O.L., Baker T.R., Lewis S.L., Quesada C.A., Affum-Baffoe K., Arets E., Berry N.J., Bird M., Brondizio E.S., de Camargo P., Chave J., Djagbletey G., Domingues T.F., Drescher M., Fearnside P.M., Franca M.B., Fyllas N.M., Lopez-Gonzalez G., Hladik A., Higuchi N., Hunter M.O., Iida Y., Salim K.A., Kassim A.R., Keller M., Kemp J., King D.A., Lovett J.C., Marimon B.S., Marimon B.H., Lenza E., Marshall A.R., Metcalfe D.J., Mitchard E.T.A., Moran E.F., Nelson B.W., Nilus R., Nogueira E.M., Palace M., Patino S., Peh K.S.H., Raventos M.T., Reitsma J.M., Saiz G., Schrodt F., Sonke B., Taedoumg H.E., Tan S., White L., Woll H. & Lloyd J. (2011). Height-diameter allometry of tropical forest trees. Biogeosciences, 8, 1081-1106. Fisher B., Lewis S.L., Burgess N.D., Malimbwi R.E., Munishi P.K., Swetnam R.D., Turner R.K., Willcock S. & Balmford A. (2011a). Implementation and opportunity costs of reducing deforestation and forest degradation in Tanzania. Nature Climate Change, 1, 161-164. Fisher B., Lewis S.L., Burgess N.D., Malimbwi R.E., Munishi P.K., Swetnam R.D., Turner R.K., Willcock S. & Balmford A. (2011b). Implementation and opportunity costs of reducing deforestation and forest degradation in Tanzania (vol 1, pg 161, 2011). Nature Climate Change, 1, 224-224. Kattge J., Diaz S., Lavorel S., Prentice C., Leadley P., Bonisch G., Garnier E., Westoby M., Reich P.B., Wright I.J., Cornelissen J.H.C., Violle C., Harrison S.P., van Bodegom P.M., Reichstein M., Enquist B.J., Soudzilovskaia N.A., Ackerly D.D., Anand M., Atkin O., Bahn M., Baker T.R., Baldocchi D., Bekker R., Blanco C.C., Blonder B., Bond W.J., Bradstock R., Bunker D.E., Casanoves F., Cavender-Bares J., Chambers J.Q., Chapin F.S., Chave J., Coomes D., Cornwell W.K., Craine J.M., Dobrin B.H., Duarte L., Durka W., Elser J., Esser G., Estiarte M., Fagan W.F., Fang J., Fernandez-Mendez F., Fidelis A., Finegan B., Flores O., Ford H., Frank D., Freschet G.T., Fyllas N.M., Gallagher R.V., Green W.A., Gutierrez A.G., Hickler T., Higgins S.I., Hodgson J.G., Jalili A., Jansen S., Joly C.A., Kerkhoff A.J., Kirkup D., Kitajima K., Kleyer M., Klotz S., Knops J.M.H., Kramer K., Kuhn I., Kurokawa H., Laughlin D., Lee T.D., Leishman M., Lens F., Lenz T., Lewis S.L., Lloyd J., Llusia J., Louault F., Ma S., Mahecha M.D., Manning P., Massad T., Medlyn B.E., Messier J., Moles A.T., Muller S.C., Nadrowski K., Naeem S., Niinemets U., Nollert S., Nuske A., Ogaya R., Oleksyn J., Onipchenko V.G., Onoda Y., Ordonez J., Overbeck G., Ozinga W.A., Patino S., Paula S., Pausas J.G., Penuelas J., Phillips O.L., Pillar V., Poorter H., Poorter L., Poschlod P., Prinzing A., Proulx R., Rammig A., Reinsch S., Reu B., Sack L., Salgado-Negre B., Sardans J., Shiodera S., Shipley B., Siefert A., Sosinski E., Soussana J.F., Swaine E., Swenson N., Thompson K., Thornton P., Waldram M., Weiher E., White M., White S., Wright S.J., Yguel B., Zaehle S., Zanne A.E. 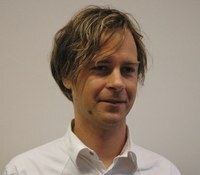 & Wirth C. (2011). TRY - a global database of plant traits. Global Change Biology, 17, 2905-2935. Lopez-Gonzalez G., Lewis S.L., Burkitt M. & Phillips O.L. (2011). ForestPlots.net: a web application and research tool to manage and analyse tropical forest plot data. Journal of Vegetation Science, 22, 610-613. Mitchard E.T.A., Saatchi S.S., Lewis S.L., Feldpausch T.R., Gerard F.F., Woodhouse I.H. & Meir P. (2011a). Comment on 'A first map of tropical Africa's above-ground biomass derived from satellite imagery'. Environ. Res. Lett., 6. Mitchard E.T.A., Saatchi S.S., Lewis S.L., Feldpausch T.R., Woodhouse I.H., Sonke B., Rowland C. & Meir P. (2011b). Measuring biomass changes due to woody encroachment and deforestation/degradation in a forest-savanna boundary region of central Africa using multi-temporal L-band radar backscatter. Remote Sensing of Environment, 115, 2861-2873. Parmentier I., Harrigan R.J., Buermann W., Mitchard E.T.A., Saatchi S., Malhi Y., Bongers F., Hawthorne W.D., Leal M.E., Lewis S.L., Nusbaumer L., Sheil D., Sosef M.S.M., Affum-Baffoe K., Bakayoko A., Chuyong G.B., Chatelain C., Comiskey J.A., Dauby G., Doucet J.L., Fauset S., Gautier L., Gillet J.F., Kenfack D., Kouame F.N., Kouassi E.K., Kouka L.A., Parren M.P.E., Peh K.S.H., Reitsma J.M., Senterre B., Sonke B., Sunderland T.C.H., Swaine M.D., Tchouto M.G.P., Thomas D., Van Valkenburg J. & Hardy O.J. (2011). Predicting alpha diversity of African rain forests: models based on climate and satellite-derived data do not perform better than a purely spatial model. Journal of Biogeography, 38, 1164-1176. Peh K.S.H., Lewis S.L. & Lloyd J. (2011a). Mechanisms of monodominance in diverse tropical tree-dominated systems. Journal of Ecology, 99, 891-898. Peh K.S.H., Sonke B., Lloyd J., Quesada C.A. & Lewis S.L. (2011b). Soil Does Not Explain Monodominance in a Central African Tropical Forest. Plos One, 6. Shirima D.D., Munishi P.K.T., Lewis S.L., Burgess N.D., Marshall A.R., Balmford A., Swetnam R.D. & Zahabu E.M. (2011). Carbon storage, structure and composition of miombo woodlands in Tanzania's Eastern Arc Mountains. African Journal of Ecology, 49, 332-342. Swetnam R.D., Fisher B., Mbilinyi B.P., Munishi P.K.T., Willcock S., Ricketts T., Mwakalila S., Balmford A., Burgess N.D., Marshall A.R. & Lewis S.L. (2011). Mapping socio-economic scenarios of land cover change: A GIS method to enable ecosystem service modelling. Journal of Environmental Management, 92, 563-574. Djuikouo M.N.K., Doucet J.L., Nguembou C.K., Lewis S.L. & Sonke B. (2010). Diversity and aboveground biomass in three tropical forest types in the Dja Biosphere Reserve, Cameroon. African Journal of Ecology, 48, 1053-1063. Berry N.J., Phillips O.L., Lewis S.L., Hill J.K., Edwards D.P., Tawatao N.B., Ahmad N., Magintan D., Khen C.V., Maryati M., Ong R.C. & Hamer K.C. (2010). The high value of logged tropical forests: lessons from northern Borneo. Biodiversity and Conservation, 19, 985-997. Burgess N.D., Bahane B., Clairs T., Danielsen F., Dalsgaard S., Funder M., Hagelberg N., Harrison P., Haule C., Kabalimu K., Kilahama F., Kilawe E., Lewis S.L., Lovett J.C., Lyatuu G., Marshall A.R., Meshack C., Miles L., Milledge S.A.H., Munishi P.K.T., Nashanda E., Shirima D., Swetnam R.D., Willcock S., Williams A. & Zahabu E. (2010). Getting ready for REDD plus in Tanzania: a case study of progress and challenges. Oryx, 44, 339-351. Doherty R.M., Sitch S., Smith B., Lewis S.L. & Thornton P.K. (2010). Implications of future climate and atmospheric CO2 content for regional biogeochemistry, biogeography and ecosystem services across East Africa. Global Change Biology, 16, 617-640. Baker T.R., Phillips O.L., Laurance W.F., Pitman N.C.A., Almeida S., Arroyo L., DiFiore A., Erwin T., Higuchi N., Killeen T.J., Laurance S.G., Nascimento H., Monteagudo A., Neill D.A., Silva J.N.M., Malhi Y., Gonzalez G.L., Peacock J., Quesada C.A., Lewis S.L. & Lloyd J. (2009). Do species traits determine patterns of wood production in Amazonian forests? Biogeosciences, 6, 297-307. Chave J., Coomes D., Jansen S., Lewis S.L., Swenson N.G. & Zanne A.E. (2009). Towards a worldwide wood economics spectrum. Ecology Letters, 12, 351-366. Gloor M., Phillips O.L., Lloyd J.J., Lewis S.L., Malhi Y., Baker T.R., Lopez-Gonzalez G., Peacock J., Almeida S., de Oliveira A.C.A., Alvarez E., Amaral I., Arroyo L., Aymard G., Banki O., Blanc L., Bonal D., Brando P., Chao K.J., Chave J., Davila N., Erwin T., Silva J., Di Fiore A., Feldpausch T.R., Freitas A., Herrera R., Higuchi N., Honorio E., Jimenez E., Killeen T., Laurance W., Mendoza C., Monteagudo A., Andrade A., Neill D., Nepstad D., Vargas P.N., Penuela M.C., Cruz A.P., Prieto A., Pitman N., Quesada C., Salomao R., Silveira M., Schwarz M., Stropp J., Ramirez F., Ramirez H., Rudas A., ter Steege H., Silva N., Torres A., Terborgh J., Vasquez R. & van der Heijden G. (2009). Does the disturbance hypothesis explain the biomass increase in basin-wide Amazon forest plot data? Global Change Biology, 15, 2418-2430. Lewis S.L., Lloyd J., Sitch S., Mitchard E.T.A. & Laurance W.F. (2009a). Changing Ecology of Tropical Forests: Evidence and Drivers. In: Annual Review of Ecology Evolution and Systematics, pp. 529-549. Lloyd J., Gloor E.U. & Lewis S.L. (2009). Are the dynamics of tropical forests dominated by large and rare disturbance events? Ecology Letters, 12, E19-E21. Malhi Y., Wood D., Baker T.R., Wright J., Phillips O.L., Cochrane T., Meir P., Chave J., Almeida S., Arroyo L., Higuchi N., Killeen T.J., Laurance S.G., Laurance W.F., Lewis S.L., Monteagudo A., Neill D.A., Vargas P.N., Pitman N.C.A., Quesada C.A., Salomao R., Silva J.N.M., Lezama A.T., Terborgh J., Martinez R.V. & Vinceti B. (2006). The regional variation of aboveground live biomass in old-growth Amazonian forests. Global Change Biology, 12, 1107-1138. Mitchard E.T.A., Saatchi S.S., Gerard F.F., Lewis S.L. & Meir P. (2009). Measuring Woody Encroachment along a Forest-Savanna Boundary in Central Africa. Earth Interactions, 13. Phillips O.L., van der Heijden G., Lewis S.L., Lopez-Gonzalez G., Aragao L., Lloyd J., Malhi Y., Monteagudo A., Almeida S., Davila E.A., Amaral I., Andelman S., Andrade A., Arroyo L., Aymard G., Baker T.R., Blanc L., Bonal D., de Oliveira A.C.A., Chao K.J., Cardozo N.D., da Costa L., Feldpausch T.R., Fisher J.B., Fyllas N.M., Freitas M.A., Galbraith D., Gloor E., Higuchi N., Honorio E., Jimenez E., Keeling H., Killeen T.J., Lovett J.C., Meir P., Mendoza C., Morel A., Vargas P.N., Patino S., Peh K.S.H., Cruz A.P., Prieto A., Quesada C.A., Ramirez F., Ramirez H., Rudas A., Salamao R., Schwarz M., Silva J., Silveira M., Slik J.W.F., Sonke B., Thomas A.S., Stropp J., Taplin J.R.D., Vasquez R. & Vilanova E. (2010). Drought-mortality relationships for tropical forests. New Phytologist, 187, 631-646. Taylor D., Hamilton A.C., Lewis S.L. & Nantale G. (2008). Thirty-eight years of change in a tropical forest: plot data from Mpanga Forest Reserve, Uganda. African Journal of Ecology, 46, 655-667. Parmentier I., Malhi Y., Senterre B., Whittaker R.J., Alonso A., Balinga M.P.B., Bakayoko A., Bongers F., Chatelain C., Comiskey J.A., Cortay R., Kamdem M.N.D., Doucet J.L., Gautier L., Hawthorne W.D., Issembe Y.A., Kouame F.N., Kouka L.A., Leal M.E., Lejoly J., Lewis S.L., Nusbaumer L., Parren M.P.E., Peh K.S.H., Phillips O.L., Sheil D., Sonke B., Sosef M.S.M., Sunderland T.C.H., Stropp J., Ter Steege H., Swaine M.D., Tchouto M.G.P., van Gemerden B.S., van Valkenburg J. & Woll H. (2007). The odd man out? Might climate explain the lower tree alpha-diversity of African rain forests relative to Amazonian rain forests? Journal of Ecology, 95, 1058-1071. Peacock J., Baker T.R., Lewis S.L., Lopez-Gonzalez G. & Phillips O.L. (2007). The RAINFOR database: monitoring forest biomass and dynamics. Journal of Vegetation Science, 18, 535-542. Lewis S.L. (2006). Tropical forests and the changing earth system. Philosophical Transactions of the Royal Society B-Biological Sciences, 361, 195-210. Lewis S.L., Phillips O.L. & Baker T.R. (2006). Impacts of global atmospheric change on tropical forests. Trends in Ecology & Evolution, 21, 173-174. Baker T.R., Phillips O.L., Malhi Y., Almeida S., Arroyo L., Di Fiore A., Erwin T., Killeen T.J., Laurance S.G., Laurance W.F., Lewis S.L., Lloyd J., Monteagudo A., Neill D.A., Patino S., Pitman N.C.A., Silva J.N.M. & Martinez R.V. (2004b). Variation in wood density determines spatial patterns in Amazonian forest biomass. Global Change Biology, 10, 545-562. Lewis S.L., Phillips O.L., Sheil D., Vinceti B., Baker T.R., Brown S., Graham A.W., Higuchi N., Hilbert D.W., Laurance W.F., Lejoly J., Malhi Y., Monteagudo A., Vargas P.N., Sonke B., Supardi N., Terborgh J.W. & Martinez R.V. (2004c). Tropical forest tree mortality, recruitment and turnover rates: calculation, interpretation and comparison when census intervals vary. Journal of Ecology, 92, 929-944. Malhi Y., Baker T.R., Phillips O.L., Almeida S., Alvarez E., Arroyo L., Chave J., Czimczik C.I., Di Fiore A., Higuchi N., Killeen T.J., Laurance S.G., Laurance W.F., Lewis S.L., Montoya L.M.M., Monteagudo A., Neill D.A., Vargas P.N., Patino S., Pitman N.C.A., Quesada C.A., Salomao R., Silva J.N.M., Lezama A.T., Martinez R.V., Terborgh J., Vinceti B. & Lloyd J. (2004). The above-ground coarse wood productivity of 104 Neotropical forest plots. Global Change Biology, 10, 563-591. Malhi Y., Phillips O.L., Lloyd J., Baker T., Wright J., Almeida S., Arroyo L., Frederiksen T., Grace J., Higuchi N., Killeen T., Laurance W.F., Leano C., Lewis S., Meir P., Monteagudo A., Neill D., Vargas P.N., Panfil S.N., Patino S., Pitman N., Quesada C.A., Rudas-Ll A., Salomao R., Saleska S., Silva N., Silveira M., Sombroek W.G., Valencia R., Martinez R.V., Vieira I.C.G. & Vinceti B. (2002). An international network to monitor the structure, composition and dynamics of Amazonian forests (RAINFOR). Journal of Vegetation Science, 13, 439-450. Phillips O.L., Malhi Y., Vinceti B., Baker T., Lewis S.L., Higuchi N., Laurance W.F., Vargas P.N., Martinez R.V., Laurance S., Ferreira L.V., Stern M., Brown S. & Grace J. (2002a). Changes in growth of tropical forests: Evaluating potential biases. Ecological Applications, 12, 576-587. Phillips O.L., Martinez R.V., Arroyo L., Baker T.R., Killeen T., Lewis S.L., Malhi Y., Mendoza A.M., Neill D., Vargas P.N., Alexiades M., Ceron C., Di Fiore A., Erwin T., Jardim A., Palacios W., Saldias M. & Vinceti B. (2002b). Increasing dominance of large lianas in Amazonian forests. Nature, 418, 770-774. Lewis S.L. & Tanner E.V.J. (2000). Effects of above- and belowground competition on growth and survival of rain forest tree seedlings. Ecology, 81, 2525-2538. Phillips, O.L., Lewis, S.L. (2014). Recent changes in tropical forest biomass and dynamics. In Coomes, D.A., Burslem, D.F.R.P., Simonson, W.D. (Eds. ), Forests and Global Change. (pp. 77-108). Cambridge: Cambridge University Press. Greenberg, D., Lewis, S.L. (2013). Changing tropical forest dynamics and their effects on canopy geometry and tropical forest biodiversity. In Lowman, M. (Ed. ), Treetops at Risk: Challenges of Global Canopy Ecology and Conservation. (pp. 247-260). New York: Springer Science. Phillips O.L., Higuchi N., Vieira S., Baker T.R., Chao K.J., Lewis S.L. (2013) Recent changes in Amazon forest biomass, dynamics, and composition. In Amazonia and Global Change. Editors: Keller M, Gash J, Dias PS. Lewis, S.L., Phillips, O.L. & Baker, T.R. (2007) Impacts of Global Change on the Structure, Dynamics and Function of South American Tropical Forests. Pages 15-31. In Emerging Threats to Tropical Forests (eds W. F. Laurance & C. A. Peres). Chicago University Press. Phillips O.L., Lewis SL, Baker T.R., Malhi Y. (2007) The response of South American tropical forests to contemporary atmospheric change. In Tropical Rain Forest Responses to Climate Change . Editors: Bush M, Flenley J. 317-332. Springer. Lewis, S.L., Phillips, O.L., Baker, T.R., Malhi, Y. & Lloyd, J. (2006). Tropical forests & Atmospheric Carbon Dioxide: Current Conditions and Future Scenarios. Pages 147-153. In Avoiding Dangerous Climate Change (eds H. J. Schellnhuber, W. Cramer, N. Nakicenovic, T. Wigley, and G. Yohe). Cambridge University Press, UK. Phillips, O.L., Lewis, S.L., Baker, T.R., and Malhi, Y. (2006). The response of South American tropical forests to contemporary atmospheric change. Pages 317-332. In Tropical Rain Forest Responses to Climate Change (eds M. Bush, J. Flenley). Praxis Publishing, Springer-Praxis, London. Lewis, S.L., Malhi, Y. & Phillips, O.L. (2005) Predicting the impacts of global environmental changes on tropical forests. Pages 41-56. In Tropical Forests and Global Atmospheric Change (eds O. Phillips & Y. Malhi). Oxford University Press, UK. Lewis, S.L., Phillips, O.L., Baker, T. R., Lloyd, J., Malhi, Y., Almeida, S., Higuchi, N., Laurance, W. F., Neill, D., Silva, N., Terborgh, J., Torres-Lezama, A., Brown, S., Chave, J., Kuebler, C., Nunez, P., Vasquez, M.R. & Vinceti, B. (2005) Late twentieth century trends in the structure and dynamics of South American forests. Pp 143-154. In Tropical Forests and Global Atmospheric Change (eds O. Phillips & Y. Malhi). Oxford University Press, UK. Phillips, O.L., Baker, T.R., Arroyo, L., Higuchi, N., Killeen, T., Laurance, W.F., Lewis, S.L., Lloyd, J.J., Malhi, Y., Monteagudo, A., Neill, D., Nunez Vargas, P., Silva, N., Terborgh J., Vasquez, M., Alexiades, M., Almeida, S., Brown, S., Chave J., Comiskey, J., Czimczik, C., Di Fiore, A., Erwin, T., Kuebler C., Laurance, S.G., Nascimento, H.E.M., Olivier, J., Palacios, W., Patino, S., Pitman, N., Quesada C.A., Saldias, M., Torres Lezama, A. (2005) Late twentieth-century patterns and trends in Amazon tree turnover. Pages 107-128. In: Tropical Forests and Global Atmospheric Change (eds Y. Malhi, O.L. Philips). Oxford University Press. Baker, T.R., Phillips, O.L., Malhi, Y., Almeida, S., Arroyo, L., Di Fiore, A., Erwin, T., Higuchi, N., Killeen, T.J., Laurance, S.G., Laurance, W.F., Lewis, S.L., Monteagudo, A., Neill, D.A., Vargas, P.N., Pitman, N., Silva, N.M., Martinez, R.V. (2005) Late twentieth-century trends in the biomass of Amazonian forest plots. Pages 129-142. In Tropical Forests and Global Atmospheric Change (eds Y. Malhi, O.L. Philips). Oxford University Press. Changing Ecology of Tropical Forests: This long-term project collects and collates long-term phytodemographic data to better understand large-scale changes within tropical forests to global environmental change. Currently funded by the EU GEOCARBON program, Phillip Leverhulme Prize and ERC Advanced Grant called T-FORCES, tropical forests and the changing earth system. http://www.tforces.net/. Past funding from NERC, Royal Society, Moore Foundation. Lewis, S.L.et al. (2009). Changing ecology of tropical forests: Evidence and drivers. Annual Review of Ecology, Evolution, and Systematics, 40 529-549. doi:10.1146/annurev.ecolsys.39.110707.173345. Ecology of African tropical forests: This long-term project collects and collates collates long-term phytodemographic data to better understand African tropical forests, as part of the African Tropical Rainforest Observatory Network (www.afritron.org). Currently funded by the EU GEOCARBON program, Phillip Leverhulme Prize and ERC Advanced Grant called T-FORCES, tropical forests and the changing earth system. http://www.tforces.net/. Past funding from NERC, Royal Society, Moore Foundation. Comparative ecology of tropical forests. The long-term project collects and collates collates long-term phytodemographic data to better understand the commonalities and differences amongst the three major tropical continents, Latin America, Africa and SE Asia, with a major focus on Amazonia, the Congo Basin and Borneo. Currently funded by the EU FP7 GEOCARBON program, http://www.geocarbon.net/, Phillip Leverhulme Prize and ERC Advanced Grant called T-FORCES, tropical forests and the changing earth system. http://www.tforces.net/ . Past funding from NERC, Royal Society. Banin, L., Feldpausch, T.R., Phillips, O.L., Baker, T.R., Lloyd, J., Affum-Baffoe, K., ...& Lewis, S.L. (2012). What controls tropical forest architecture? Testing environmental, structural and floristic drivers. Global Ecology and Biogeography, 21 (12), 1179-1109. Doi: 10.1111/j.1466-8238.2012.00778. Forest restoration: A project to quantify the impacts of differing management techniques to restore degraded lands to increase carbon storage and biodiversity. We ask: the such interventions worth the investment, or is merely waiting for nature restore itself enough? Includes fieldwork in Uganda and Malaysia, led by PhD student Charlotte Wheeler, and funded by NERC and Permian Global. Merging ground and satellite data to monitor tropical forest carbon stocks and fluxes: There is some controversy about both remotely sensed data for monitoring tropical forest and the carbon they store (as satellite data is an indirect estimate of forest biomass and carbon), and ground-based in situ inventory plot measurements (as they are generally at a very low sampling density, if we are concerned about making inferences over large spatial scales, and are also an indirect estimate of forest biomass and carbon). My view is that combining both techniques is essential to providing the most accurate measurements of tropical forest biomass and carbon storage. Funded by the EU GEOCARBON program, http://www.geocarbon.net/, and ERC Advanced Grant called T-FORCES, tropical forests and the changing earth system. http://www.tforces.net/. Tropical soils: I have been collecting and analysing, for physical and chemical characteristic, soil from as many of the long-term forest inventory plots as possible, to begin improving our understanding of soil physical and chemical factors on forest growth, dynamics and carbon balance. An early paper utilising this data showed that after accounting for soil fertility Asian forests were considerably more productive (in terms of aboveground wood production) than Amazonian forests (Banin et al. 2014). The Anthropocene. I have been developing a new research program on the Anthropocene, the idea that human activity has altered the Earth System so dramatically they we are now the major driver of change in the Earth System today, and so we have entered a new geological epoch, termed the time of humans, the Anthropocene. First papers on this should be published in 2015, and new PhD student beginning research on this topic shortly. My research includes major contributions to networks of long-term tropical forest inventory plots, which now constitute a pan-tropical on-the-ground observatory of tropical forests. This is an international networks of scientists (from >50 institutions, >250 participants and >30 nations) using standardised methods developed, honed and propagated across the tropics. This enables, for the first time, the use of on-the-ground observations to make a direct evaluation of the role of tropical forests in the global carbon cycle and to assess their sensitivity to climate change (Lewis et al. 2009; Nature; Phillips et al. 2009, Science; Lewis et al. 2011, Science; Pan et al. 2011 Science). As well as having a major impact on international debates on the future trajectory of climate change and appropriate policy responses, this work is influencing national-scale efforts across the tropics to monitor forests in the face of climate change and to reduce carbon emissions from deforestation and degradation. Various research impacts are summarised below. Public policy: While it is the job of society generally to determine policy positions, politicians to formally define agreed rules, and citizens and the judiciary to hold politicians to account, scientists can contribute to societal debates via timely information to assist the public in their decisions. Dr Lewis has contributed to this, for example, back in 2005 the UK government distributed a paper of his on tropical forests and avoiding dangerous climate change to other countries at the UN climate talks in Montreal (published as Lewis et al. 2006, in Avoiding Dangerous Climate Change, Edited by Schellnhuber et al.). In 2009, Dr Lewis contributed to drafting the InterAcademies Panel (the global network of science academies) on tropical forests and climate change (http://www.interacademies.net/File.aspx?id=10070). More recently he published a short piece in response to the UN Rio+20 conference on some of the difficulties of deciding on and implementing planetary boundaries (Lewis 2012 http://www.nature.com/news/we-must-set-planetary-boundaries-wisely-1.10694). Dr Lewis also spend a week in the European Parliament shadowing an MEP (Linda McAvan) to learn about how policy-makers do their work. Dr Lewis serves on the Conservation Committee of the Association for Tropical Biodiversity and Conservation, the world’s largest scientific society focusing on tropical biodiversity. The committee releases timely reports to assist choices when specific policies, projects or activities may negatively impact biodiversity and the people who directly rely on it. Public lectures: Dr Lewis has given lectures at as diverse locations as the Natural History Museum, as part of the Sebastião Salgado ‘Genesis’ exhibition (2013 on Science and exploration), the British Film Institute (2010, on Gaia theory), the ‘Reclaim the Power’ anti-fracking protest camp at Balcombe (2013, basics of climate change science), and in front of hundreds of riot police at the Camp for Climate Action protest outside the European Carbon Exchange (2009, basics of climate change science). Dr Lewis was awarded a Philip Leverhulme Prize in 2011 in recognition of the international impact of his research. Psy.org (2012) Biodiversity proects tropical rainforest from drought, 30 August. Reports on impacts of drought on African tropical forests. BBC News website (2011) 'No substitute' for virgin forest, including SL comment about land-sparing to protect biodiversity, 15 September. Independent (2011) China’s power stations generate ‘future spike’ in global warming. SL comment on relative roles or aerosols & CO2, 5 July. Economist (2011) Welcome to the Anthropocene 26 May 2011. SL comment. BBC Today Program (2011). Live interview on slowing deforestation without increasing rural poverty, May 30. Alliaz Insurance (2011), interview for Allianz.com website, 18 March. National Public Radio (2011) Report on Amazon 2010 drought, 7 February 2011. The Independent (2011) P1 main story plus editorial, on Lewis et al. Amazon 2010 drought paper, 4 February. The Guardian (2011) P23, full page on Lewis et al. Amazon 2010 drought paper, 4 February. The Sun (2011) P11, Short piece on Lewis et al. Amazon 2010 drought paper, 4 February. Canadian Broadcasting Corporation, Radio 1. SL interview on Amazon drought, 3 February. Lewis S.L. (2010). How to beat the media in the climate street fight. Nature, 468, 7-7. George Monbiot (2010) Sunday Times admits ‘Amazongate’ story was rubbish. But who’s to blame. 24 June. About SL. Roy Greenslade (2010) Sunday Times ‘correction’ was a giant climbdown, 21 June. About SL. New York Times (2010) British newspaper apologies to climate scientist. 20 June. About SL, SL comment. Sunday Times (2010). Retraction of article citing Lewis. P2, 20 June. About SL. Lewis S. L. (2010). How fear of bias dominates the climate change debate. The Guardian, 10 October. Lewis S. L. (2010). Yes we can change society before global crises overwhelm us. The Guardian, 14 March. New York Times (2010). P1, report including SL comments on mis-reporting in the UK press on climate change. Guardian (2010) Forests expert officially complains about ‘distorted’ Sunday Times article, 24 March. Radio 4 Today (2010), SL commenting about an alleged Intergovernmental Panel on Climate Change mistake relating to the vulnerability of the Amazon rainforest to climate change-induced drought. 30 Jan.
Sunday Times (2010), report the opposite of my views on the IPCC and Amazon rainforest vulnerability to climate change induced droughts, 31 January. The Times (2009), SL comment about oil palm plantations and destruction of tropical forests in Asia, 11 December. Lewis S.L. (2009) Copenhagen: time to stop the finger-pointing, Guardian, 28 December, letter. Lewis S.L. (2009). A force of Nature: our influential Anthropocene period. Guardian, 24 July. Lewis S.L. (2009). Scientists on the streets. Guardian, 10 March. Lewis S.L. (2009). Will clean coal clean up our climate? Guardian, 27 April 2009, letter. Sunday Times (2009) Plants buy Earth more time as CO2 makes them grow faster. 5 April. Guardian (2009) Climate change transforming rainforest into major carbon emitters, warn scientists, 11 March. Guardian (2009) Firth of world carbon emissions soaked up by extra forest growth, 18 February. Report on Lewis et al. 2009 African tropical forest carbon sink paper in Nature. Guardian (2009) Folly and foibles of the Heathrow decision., 19, January. Letter. Lewis S.L. (2008). A dangerous untruth. Guardian, 1 August. Lewis S.L. (2008). It’s time for a body count. Guardian, 26 February. Reuters (2007). Scientists warn on biofuel as palm oil price jumps, 31 May. SL comment. Andy Burt. Funded by a NERC CASE studentship. Quantifying forest state and degradation: exploiting new measurements and models. 2nd supervisor. Shinta Puspitasari. Ecological Resilience of Beetle Diversity in Tropical Islands. 2nd supervisor. Plus three PhD students in Leeds. 1. Anjali Goswami (GEE), "Deep time mammals: diversity, shape space and climate"
2. Richard Pearson (CBER), "Assessing extinction risk due to climate change"
There is space for a third speaker, if anyone feels inclined. Room: Taviton (16) 432, from 4pm, with the room booked unit 6pm. All welcome. There are a large number of researchers at UCL working on biodiversity-related topics, across Geography, the Centre for Biodiversity and Environment Research (CBER), the Environment Institute, Earth Sciences, Anthropology, the Energy Institute, Archaeology, Genetics, Evolution and Environment (GEE) and others. The Biodiversity Forum and Seminar Series is a chance to talk across departments and faculty, to foster greater collaboration (particularly now the NERC DTP is funded which can facilitate cross-departmental PhD projects). The forum met for the first time on Tuesday 19th November, and meets on the third Tuesday of every Month, at 4pm, room 432, No. 16 Taviston Road (fourth floor, UCL School of Slavonic Studies building), or occasionally other nearby rooms within the same building. The Forum is intended for post-docs and staff as well as masters and PhD students who have an interest in biodiversity, very broadly defined, from discovering new species to policy impacts on biodiversity, and spanning the past, present and future of biodiversity. Usually there will be three speakers, each giving 10-15 minute presentations around a broad theme. Most months have only two people booked so far, so if you would like to speak, please email Dr Simon Lewis (Geography, s.l.lewis@ucl.ac.uk). PhD students and post-docs are encourage to present their work within the upcoming themes. Refreshments provided. The idea is that having the forum at 4pm means those who have to leave at 5pm can, but those that want to chat, can continue. Please pass this message round your networks, and feel free to suggest topics and speakers for May and beyond.